The other day on Instagram, I asked if there were any particular wedding or wedding planning questions that anyone wanted me to tackle, and I’ll kick things off with this one: how do you prioritize items/vendors with a strict wedding budget? And if you had to choose three things to prioritize and three things you could do without, what would they be and why? Whenever I start wedding planning with one of my Stephanie Shaul Events couples, one of the very first things we discuss is their wedding budget and subsequently, what they want to prioritize within their budget. The Southern Weddings Shop‘s Joyful Wedding Planner is an incredibly helpful resource that delves into this topic, and it’s a wedding planner resource I used and also highly, highly recommend! From the very beginning, it’s extremely important to have a firm grasp on what your wedding budget is so that you have realistic expectations and can accurately plan for what you’re going to spend in each category. I have my couples (individually and then as a team) list their top three prioroties for what they value the most in a wedding day, where they see themselves investing the most money (or attention/time), and what is ultimately most important to them. Be thinking about different budget categories like: photography, videography, ceremony venue, reception venue, food/catering, alcohol/bar, music (band or DJ, as well as ceremony, cocktail hour, and reception music), design/decor, wedding planner/designer, hair and makeup stylist, flowers, invitations, transportation, cake/dessert, favors, welcome bags, bridal attire, and groom’s attire. These items are a general overview of all that goes into wedding planning and where you’ll be spending the most money. Unless you have an unlimited budget, it’s important to prioritize what’s truly most important to you and your future husband. Even if your budget is $100,000 – or $10,000 – you need to know what you both wish to prioritze and to openly communicate about expectations. For the grooms (and this is a generalization! ), music, food, and alcohol are oftentimes the categories where they want to have the best of the best. But for some brides, she may have spent a lifetime dreaming about that over-the-top bridal bouquet and ceremony arbor or that wedding gown of her dreams. Knowing where you can splurge a little more and save in another catergory is key. If you both know you want that ideal wedding venue that perfectly fits you aesthetic and is convenient, you may be willing to spend a little more on it knowing that you don’t have to pay for transportation or spend inordinate amounts of money covering up unsightly wallpaper or flooring. Whatever the case may be, it’s important to be wise from the beginning about your realistic budget and how attainable the wedding of your dreams may be. Open, honest communication, being on the same page about the budget, and compromise are the name of the game here! After all, at the end of the day, the most important thing is that you’re married!! For our wedding, we had similar priorities with where we wanted to designate our budget to go. I’ve been a wedding planner for many years, so it was pretty easy for me to already know, generally, how much we’d be spending for each vendor/in each budget category. Both sets of our parents were so generous in contributing towards our wedding, and Rob and I helped pay for part of our wedding ourselves, as well. I know just how expensive weddings can be, and as a wedding planner, I know how much we could potentially spend on a wedding. But we were both very firm in sticking to our budget and did not want to spend more than a certain amount. 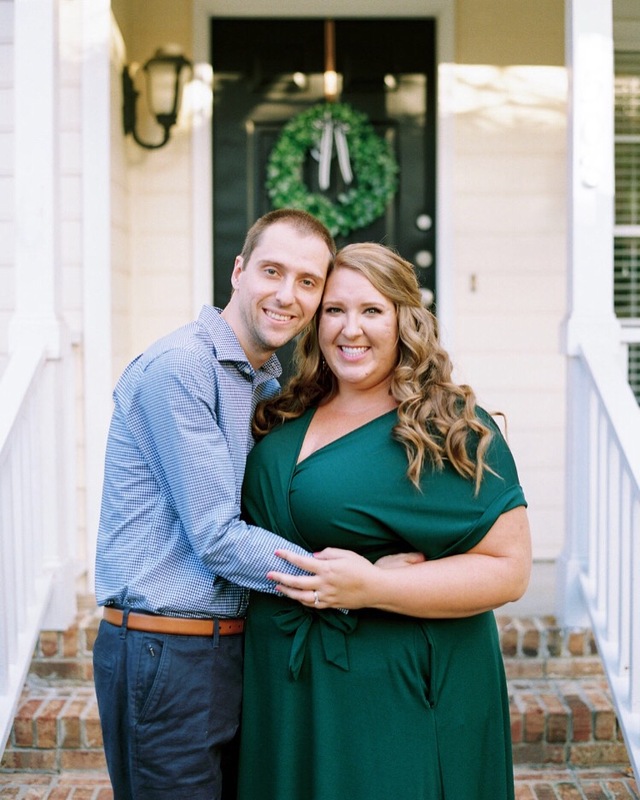 We are both huge advocates for starting off your marriage on the right foot financially, and we knew we didn’t want to spend everything we had (or even come close to it or be in debt) to have the wedding of our dreams. And it truly was the PERFECT, most special, most beautiful wedding I could have ever asked for or imagined!! My top priorities for our wedding were: photography, ceremony and reception venue, design (decor and florals), and guest experience. (It’s hard to stop my list at just those items, though!) Rob’s top priorities were: food, music, venue, and photography. I could probably talk for an entire day about why we chose what we did and why we placed more or slightly less importance on certain things, but I’ll try to be fairly succinct here! Once we got engaged, we knew what need to get done first. We both loved the Merrimon-Wynne, and we really didn’t consider another venue. We had been to a couple events there together, it’s my very favorite venue in Raleigh, we knew that it was the exact aesthetic of what we wanted, and little decor would be needed to bring our wedding design to life. It’s also in the heart of downtown Raleigh, which was super important to us. 80% of our wedding guests (and 100% of our families) live out of town, so we wanted a venue IN Raleigh. I somewhat loathe the logistics for transportation (and paying for it), and we did not want our guests to fly all the way to Raleigh and then have to drive 30-60 minutes to our wedding venue. So we definitely saved money by not having to provide transportation. As a wedding planner, it’s so, so much easier for everyone when all of the wedding events are at one venue, and this is definitely what Rob and I wanted. As much as we love our church that’s only four blocks away, we knew we would strongly prefer a venue where we could have the ceremony, cocktail hour, and reception at one venue – and three separate spaces within that venue. Truly, our venue was the perfect, perfect decision for us, especially because I had dreamt my entire life of getting married outside! So we both agreed that the ceremony and reception venues were very important to us, and we prioritized that in our budget. It also contributed to the guest experience, for sure! I could go on and on about the importance of choosing the perfect wedding photographer for your wedding day (see more here), and I firmly believe it should be at the top of every engaged couple’s priority list! Besides your love for one another, your marriage, and your memories, what physically remains from your wedding day? The photographs. Your photographer is preserving this all-important day, and the images are part of your legacy. It’s incredibly important to have gorgeous, genuine photographs to look back upon and then share with your future family! I can’t stress just how important I believe it is to hire a wedding photographer that you utterly love, and I don’t think you should be willing to compromise much on this. I don’t think you should spend thousands above your budget or hire a $10,000 photographer if your budget is $20,000! But if the photographer of your dreams is $1,000 more than the budget you set for photography, where can you save a little elsewhere so that you can splurge a little to get the best? This is why I believe it’s so imperative to prioritize your budget and know when you can save versus splurge on a particular vendor! We hired Ally and Bobby Photography to be our wedding photographers, and every single penny we spent was so very, very worth it. I can’t even put into words how much we adore our wedding photos, the entire experience of taking pictures on our wedding day because of them, and what an incredible treasure our wedding photographs are. I look at them every day, and I know they perfectly capture the emotions, utter joy, and beauty of this day, surrounded by our family and friends. Please make this a priority in your budget so that you never once regret who you hired to capture this magical day! I don’t think it would be a surprise to anyone that I prioritized the design, decor, and florals for our wedding. I am a designer and stylist, after all! Knowing that I got to design ANYthing that I wanted was a dream come true, and I deeply loved having the opportunity to design and plan to my heart’s content. I wanted to ensure every detail and decision was meaningful, thoughtful, and reflective of Rob and myself – and within our budget. But I knew that our custom rentals aren’t the most basic rentals and my ideal wedding flowers were lush and full. I was thankfully able to get creative with the design, find ways to stretch our budget, and work with the best of the best in Raleigh to bring my design dreams to life. I knew what I could do myself (and wanted to do myself), and I knew where I needed to outsource to someone more talented. With our flowers, for example, we worked with Alana from Serendipity Designs, and she absolute blew me away with every single exquisite detail. Working with her was amazing, and she and I love working together. Bridesmaid bouquets are expensive, and with eleven bridesmaids, I knew costs could add up very quickly. Alana suggested that we use a trio of my all-time favorite flower, the peach Juliet garden rose, accented with a few other beautiful Southern blooms – but in a smaller scale bouquet. The eleven bridesmaid bouquet were daintier than a standard bouquet (not by much! ), but by combining a trio of showstopper blooms, they made a gorgeous impact and were less expensive. I had Alana go all-out with my bridal bouquet (which is the most stunning bouquet I have ever seen!! ), knowing that is was just one bouquet and not eleven. Our flowers and the floral design did not suffer, but our budget was stretched further because of these small but mighty changes. Sometimes you just have to look at your budget and talk with your vendor about creative solutions to achieve a similar aesthetic to bring your design to life. On a related note, there are definitely ways to work within your budget and cut or pare down on other items that may not be quite as important to you. This looks different for every couple! Many brides and grooms may outright know that they definitely don’t need a band or want liquor at their weddings, which are two huge cost savers. As important as it is to know what your priority items are when it comes to delegating your budget, it’s equally as important to realize that some items may be less prioritized in order to save money or cut costs somewhere. With the same list above, I would advise engaged couples talk candidly and honestly about what they may not want to focus their time and finances on as much. You may need to compromise in one area in order to accommodate something else. For me, some of the items/categories where I wanted to spend less or cut out altogether were: favors and welcome bags, a band, liquor, and transportation. These are items that, together, Rob and I decided not to focus as much of our time or budget on. Instead of favors or welcome bags that we thought might not be as impactful, beneficial, etc, we decided to host a welcome party for all of our guests the evening before our wedding. We also concentrated on giving generous and thoughtful thank you gifts to our families and our bridesmaids and groomsmen. Instead of a band, we knew we’d be incredibly happy with a DJ that we trust and adore – this was a major cost saver! And we knew we were perfectly content with serving just wine and beer at our bars during our cocktail hour and reception instead of having a full bar with liquor. It’s amazing how quickly alcohol can add up. Like I mentioned above, we chose to have all of our wedding at one venue, elimintating the cost of transportation completely. This saved a couple thousand dollars alone, along with planning the logistics of transportation. My parents did choose, at the last minute, to gift us with a car and driver for our getaway and to take us to our hotel, though! This post has gotten long enough – you’re a saint if you’ve made it through to the end of this! I hope it’s been a helpful resource for any brides to be or anyone who might be getting engaged soon. Being educated about all of the costs associated with a wedding is so incredibly important, especially from the beginning. Budgets are a tricky subject to tackle, especially when you’re trying to please so many people and have likely many differing opinions! But knowing what is most important to you two as a couple is a great foundation when you begin to prioritize your wedding budget, as well as being realistic about the costs of different categories and vendors. Hopefully, as you plan your wedding, you feel confident and excited about each and every decision you make and the vendors you get to work with!